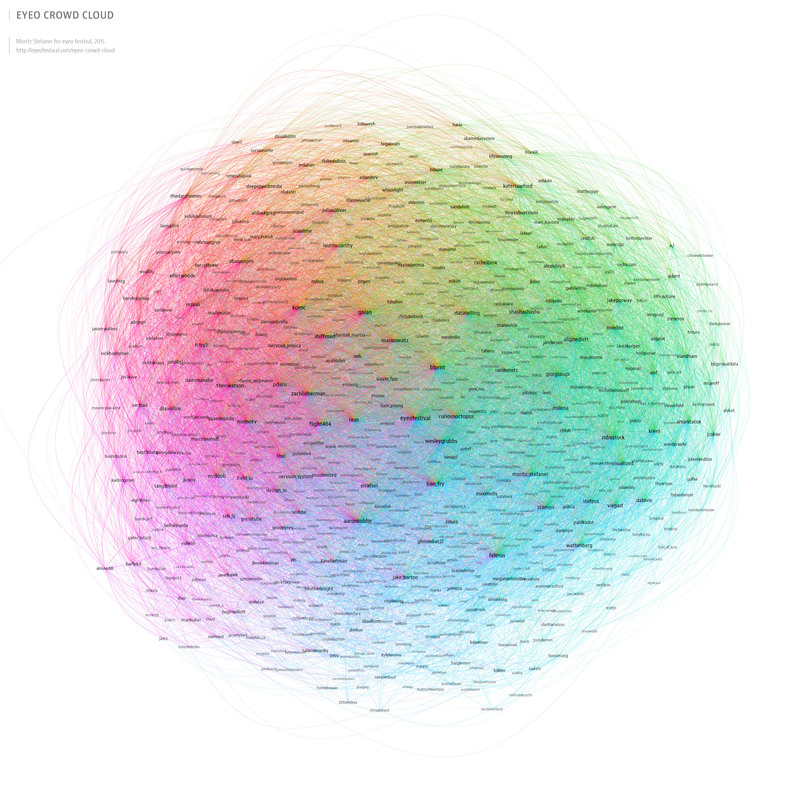 This network map shows 852 twitter accounts related to the eyeo festival. It is drawn from a list of registered speakers, workshop presenters and panelists (2011-2015) and attendees (2013-2015). The network layout was calculated using gephi and brings more strongly connected accounts closer together. The size of the account labels corresponds to the number of followers in this network. 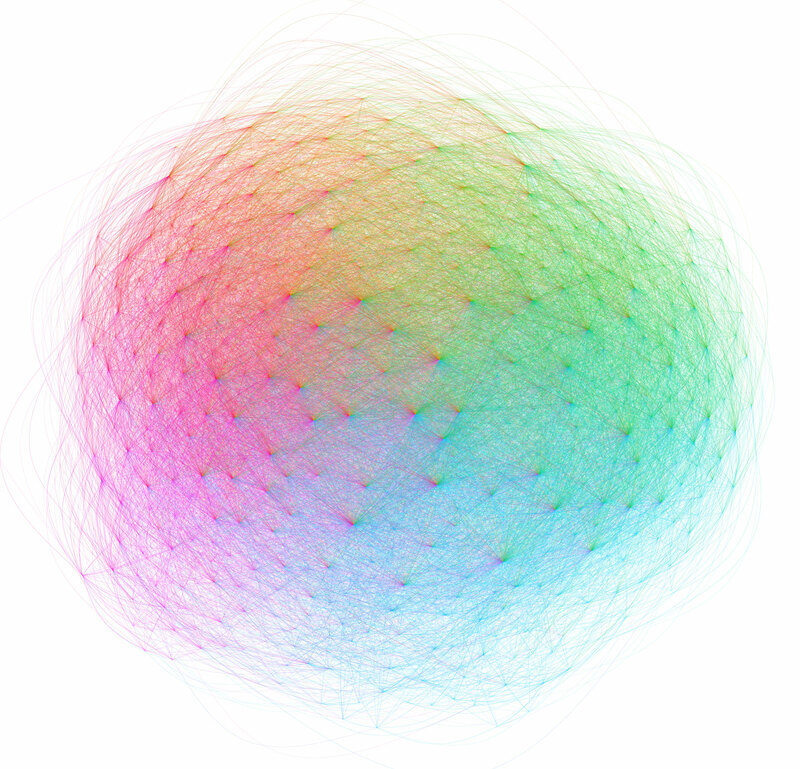 Each line drawn is a followership relation. It is colored according to the followers color which is assigned based on the angular position on the map. As a result, accounts with followers from many different regions of the map look more colorful. Exported from Adobe Illustrator using ai2html.